Tornado rips through rural Ohio | We Seek the Truth! At least six people were reportedly injured after a tornado hit the Ohio town of Shelby on Sunday, as tornadoes and storms cut across the eastern United States. 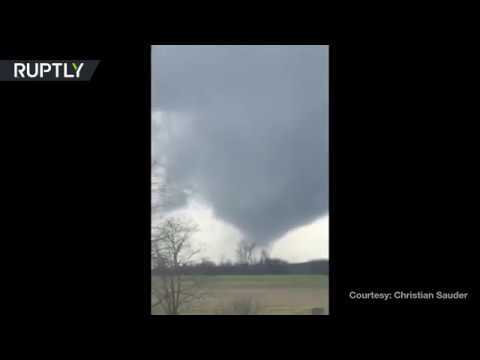 Footage shows a tornado in the background of a rural area in Shelby, around 145 km (90 miles) from Cleveland. Around six homes were damaged and at least six people were hospitalized for storm-related injuries, according to reports citing the Richland County Emergency Management Agency. The National Weather Service has emanated tornado watch warnings for parts of Maryland, New York, Pennsylvania, and West Virginia on Sunday.